The American Citizens Abroad has urged the US deputy assistant secretary for International Tax Affairs to exempt the bank accounts of Americans expatriates in the country in which they currently reside from having to be reported to the US tax authorities as part of the Foreign Account Tax Compliance Act. In a letter, a copy of which may be viewed on the ACA’s website, ACA legal counsel Charles Bruce and assistant legal counsel Glen Frost told Robert B Stack that such a provision could be “surprisingly simple” to introduce to the final versions of the FATCA regulations packages, which, they noted, the US Treasury Department is understood to be currently working on. The Same Country exemption is needed, the ACA told Stack (as it reminded him it has explained in previous correspondence) because of FATCA’s so-called “lock-out” effect. This refers to the way banks and other financial services providers typically decline to accept Americans as clients, in order not to have to commit to the expensive and time-consuming business of reporting their banking details to the US Internal Revenue Service on their accounts, as FATCA requires them to – resulting in American expats being unable to obtain (or being “locked out of”) local bank accounts, mortgages, loans or other financial services. FATCA was signed into law by President Obama in 2010 and came into effect on 1 July 2014. It was aimed at putting an end to the use of offshore bank accounts by US citizens to hide assets and income, but has had the unintentional effect of making life extraordinarily difficult for many hundreds of thousands of law-abiding and often, not particularly wealthy US expatriates. 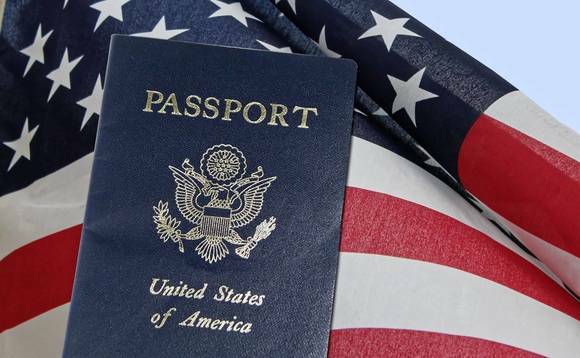 To disentangle themselves from the law’s effects, thousands of Americans have sought to renounce their citizenships, sending renunciation rates soaring and prompting the US Government to more than quadruple the price of renouncing, which is in addition to other costs that can include a significant “exit tax”, depending on the individual. Under the “Same Country” exemption, as the ACA and a number of other US expat groups envision it, a US person who genuinely lives in a foreign country and has an ordinary bank account, that institution should be able to treat it as if they were not American, and that individual also would not be required to list the account when filing their IRS Form 8938, which is a “Statement of Specified Foreign Financial Assets”. Instead, the individual would provide a “mercifully short and to the point” form to their bank (or “foreign financial institution” or FFI, in FATCA-speak) and the IRS, explaining the facts of this arrangement, the ACA told Stack in its letter. “There is no doubt that the ‘lockout’ effect exists,” the ACA letter continues. “As we found in our investigation, a ‘Same Country’ exemption would make a difference – changing banks’ behaviour towards Americans abroad – in that it addresses the key concerns of banks relating to FATCA. As reported here in March, the ACA sought to address the banking services “lockout” problem American expats have been facing by partnering with the State Department Federal Credit Union (SDFCU) to provide US-citizen-friendly banking services to expats who can’t otherwise access them. The ACA said the ACA/SDFCU Account had been designed to give ordinary American expats a full range of banking services without their needing to provide either a US address, or be affiliated with a government agency.